On the internet we share a lot of information. We publish pictures, papers, files, applications and much more on the internet. But did you know that all these files are loaded with metadata. Metadata is information that is saved on the properties of the file that has been created. For example, if you would upload a picture, it is possible that a GPS metadata is included in the picture. This will allow anyone which is interested in your location to download the file and extract the GPS locations. A perfect example is the example of John McAfee, he was on the run for the authorities, but he got found by using the GPS metadata which was builded by his iPhone. This is the picture which contained the GPS location. 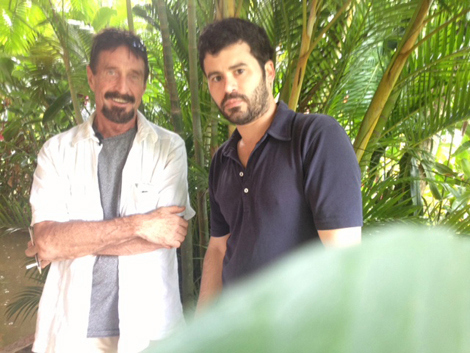 On the left you will see John Mcafee.